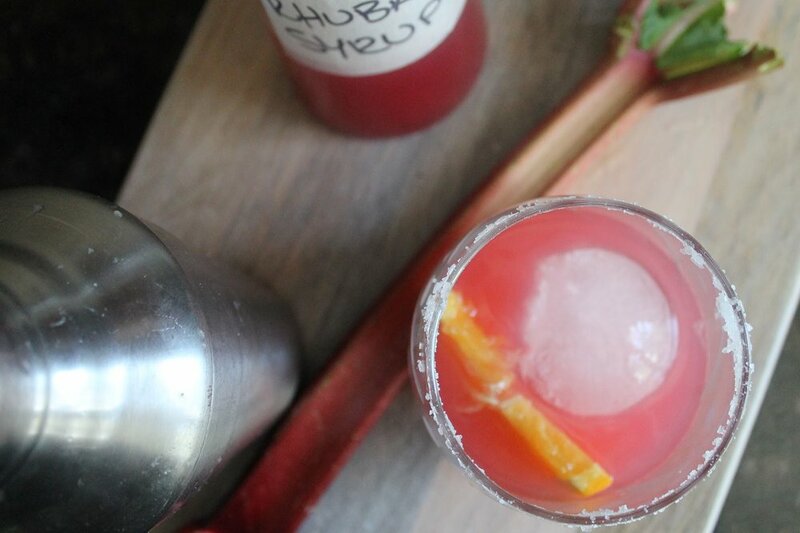 New to Spokane, but crafted from generations of Danish family cooking. 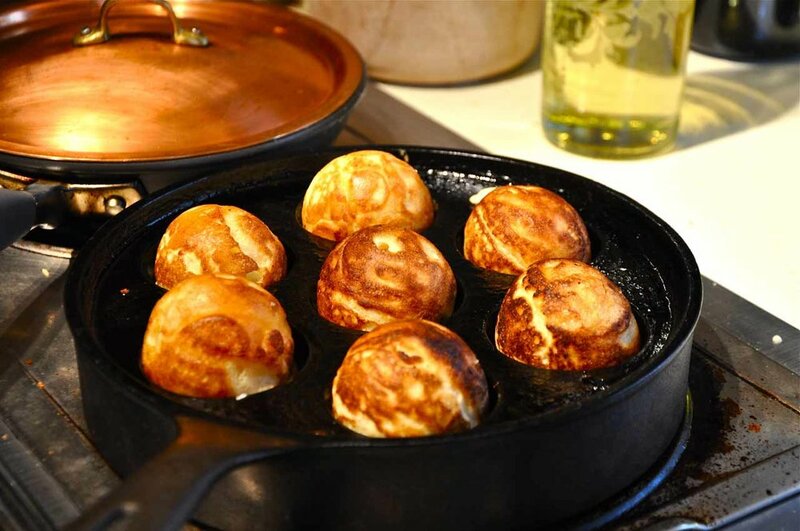 Jordan's great grandmother brought her family recipe for Æbleskiver pancakes to this country from Denmark, and they've been a favorite celebratory breakfast for the following generations. 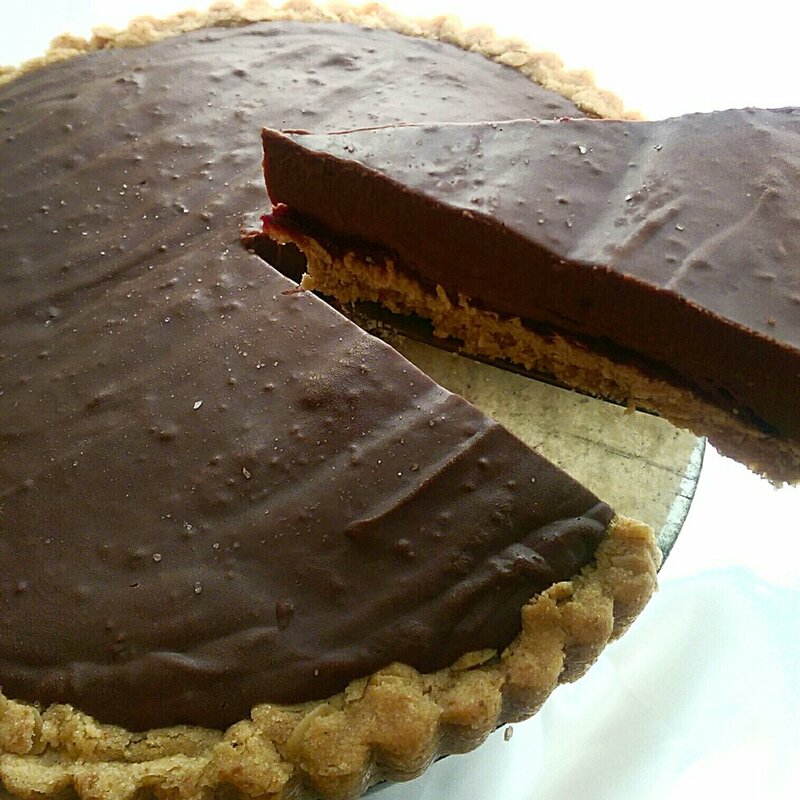 Jordan and his wife, Charlotte (a gluten-free pastry chef), want to bring this perfect anytime food to the people of Spokane. Just sweet enough to satisfy, our lightly spiced Æbleskivers are topped with freshly made whipped cream and our whimsically flavored homemade jams. Find us at farmers markets and local events (upcoming dates are listed on the right)! No current upcoming events scheduled. Come see us at the farmers markets in the spring, or place a special order if you can’t wait that long. Contact us below or at thebrunchkin@gmail.com to discuss special order options and see our full list of offerings! A decadent and curious tart - crunchy, salty oatmeal cookie base under a chai spiced dark cherry compote. Finished with a ganache of the darkest chocolate silk with a hint of espresso. Topped with a touch of sea salt. A bright single-layer cake with whole lemons pureed and baked into the flourless batter. This moist cake is rinsed with St Germain and topped with a delicate elderflower glaze. 9" cake decorated with rose petals and candied lemons. 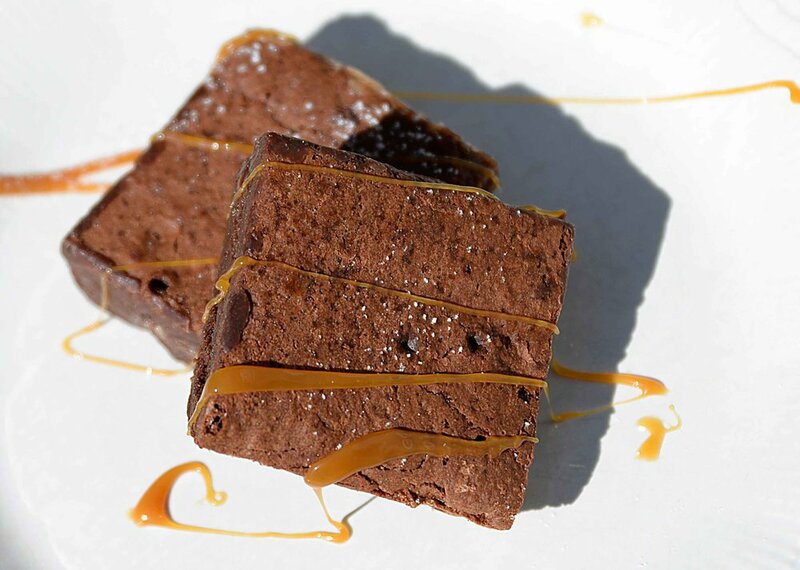 Two dozen decadent caramel brownies with just enough lavender and sea salt to keep your palate guessing. We've made hundreds of desserts - these are our standard.